Bass trombonist C. Neil Parsons has been performing for as long as he can remember, appearing in his first professional theatre production at age three. Extensive touring has taken him to 40 states, with performances at major performing arts centers such as the Kennedy Center, residencies at numerous universities, and guest appearances with symphony orchestras, including the Boston Symphony. Beyond his versatility across music, theatre, and dance productions, Parsons is best-known for blending his talents in new hybrid artworks. Parsons is a graduate of Interlochen Arts Academy and Oberlin College Conservatory of Music, where he declared an individual major in Interdisciplinary Performance & Education. He holds a Master of Music in Contemporary Classical Music Performancefrom Boston Conservatory at Berklee. His primary teachers include Ray Premru, Tony Baker, Steve Witser, and John Faieta. Joseph Walker has lived and worked in the Boston area since receiving his Masters degree in 2008 from New England Conservatory, where he studied under Richard Mackey. He continues to play with ensembles throughout the area while working full time at the conservatory, and currently lives in Everett with his wife, son, and two cats. 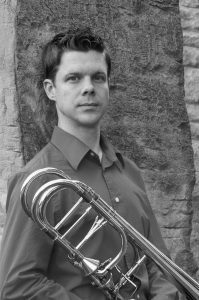 Paul Fleming (Trombone) has a Bachelor of Music Education from the University of Nevada, Reno and a Master of Trombone Performance from The Boston Conservatory. He has professional experience with Atlantic Symphony Orchestra, Reno Philharmonic Orchestra, Reno Chamber Orchestra, Ruby Mountain Symphony, and Hickman Brass Ensemble. He has been a featured Soloist with Ruby Mountain Symphony and Hickman Brass Ensemble. He also plays with Brookline Symphony Orchestra. He enjoys distance running, ultimate frisbee, disc golf, and camping/backpacking. Yoni Kahn (Horn) is pursuing a double life as a theoretical physicist and freelance musician. He holds degrees from Northwestern University in physics, math, horn performance, and composition, as well as a Masters of Advanced Studies from the University of Cambridge. 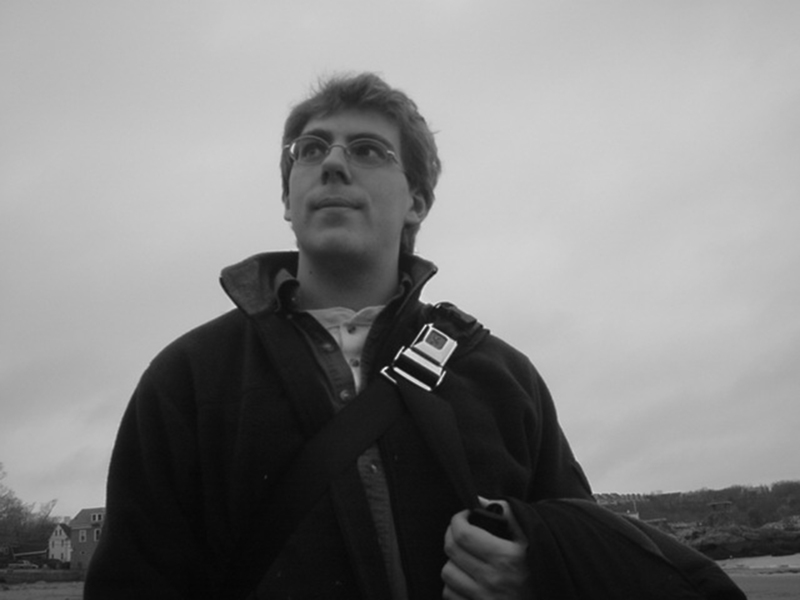 Yoni is currently a Ph.D. student at MIT, studying high-energy particle physics, and his musical interests span the spectrum from historical performance to newly composed works. He is co-founder of the period-instrument group Grand Harmonie and has performed on modern horn with Symphony by the Sea and Juventas New Music Ensemble. Equally at home with chamber music, Yoni has recently performed the horn trios of Ligeti, Brahms, and Harbison. His teachers include Gail Williams, William Barnewitz, Jean Rife, and R.J. Kelley. Jonah Kappraff (Trumpet) is a 2008 graduate of Boston University where he completed a Master’s degree in trumpet performance. Prior to his arrival in Boston, he earned a Bachelor’s degree in trumpet performance and music education from the Oberlin Conservatory in Ohio. 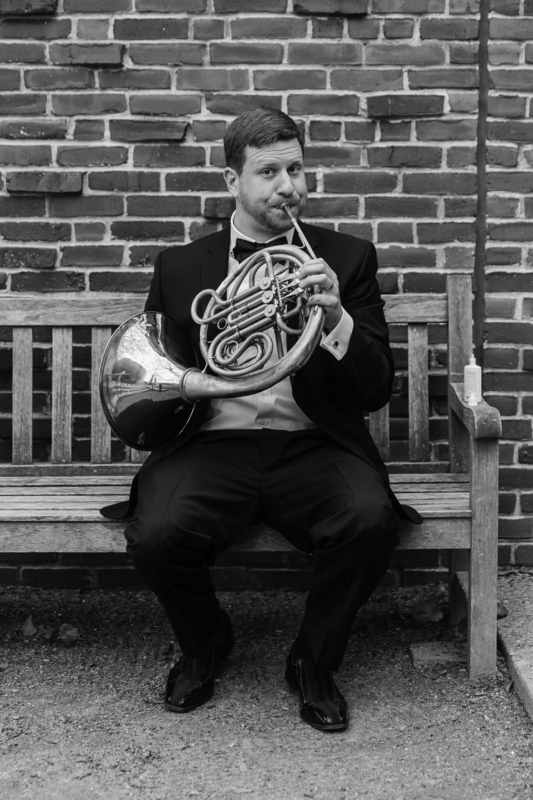 Jonah has participated in the Scotia Festival of Music, the Hot Springs Music Festival, the Oberlin in Italy opera festival, and the Monadnock Music Festival, and has served as principal trumpet of the American Wind Symphony and the MasterWorks Music Festival. 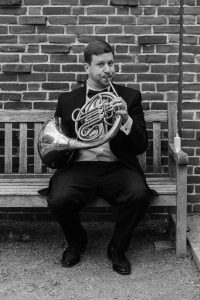 As a freelance musician in Boston, Jonah performs with the Marsh Chapel Collegium Musicum and the Lexington Symphony, and is a founding member of the Modern Brass Quintet. He has also performed with the Boston Modern Orchestra Project, Odyssey Opera, the Boston Pops, and the Boston Ballet Orchestra. As a recitalist and clinician Jonah has presented solo concerts and masterclasses at Keene State College and Harvard University, as well as around the Greater Boston area. A devoted music educator as well, Jonah maintains a robust private studio and has conducted high school and college wind bands, and coached brass chamber music in the U.S. and Belgium. Jonah grew up in South Orange, NJ and studied trumpet with David Larson (NJ Symphony). His primary teachers since then have been Terry Everson, Steve Emery, and Roy Poper. 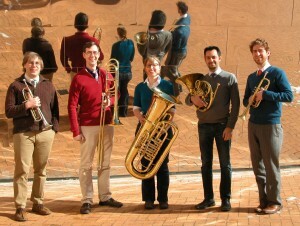 Beth McDonald (Tuba) is a classically trained tuba player gone awry. She works largely in the fields of electroacoustic music, the American avant-garde, and free improvisation, but also performs in classical, jazz, and pop/folk settings. You can hear her in Callithumpian Consort, Sound Icon, Korean Jeans, Discovery Ensemble, Modern Brass, the Brian Friedland Big Band, and other groups. As Artistic Director of the August Noise JP concert series, she works to bring unexpected music to public spaces and to engage her fellow musicians with their community. Beth graduated from the University of Kentucky, studying with Dr. Skip Gray and earning minor concentrations in political science and agricultural studies. She then received her Masters from New England Conservatory, where she worked under the guidance of Stephen Drury, Tanya Kalmanovitch, John Mallia, Ted Reichman, and John Heiss. In a previous life she was an active concerto soloist, performing with Pershing’s Own Army Band, the Johnson City Symphony Orchestra, and others. She has also been a fellow at the Lucerne Festival Academy, the Schleswig-Holstein Musik Festival, the Aspen Music Festival, and the SICPP Festival’s Electronic Music Workshop.